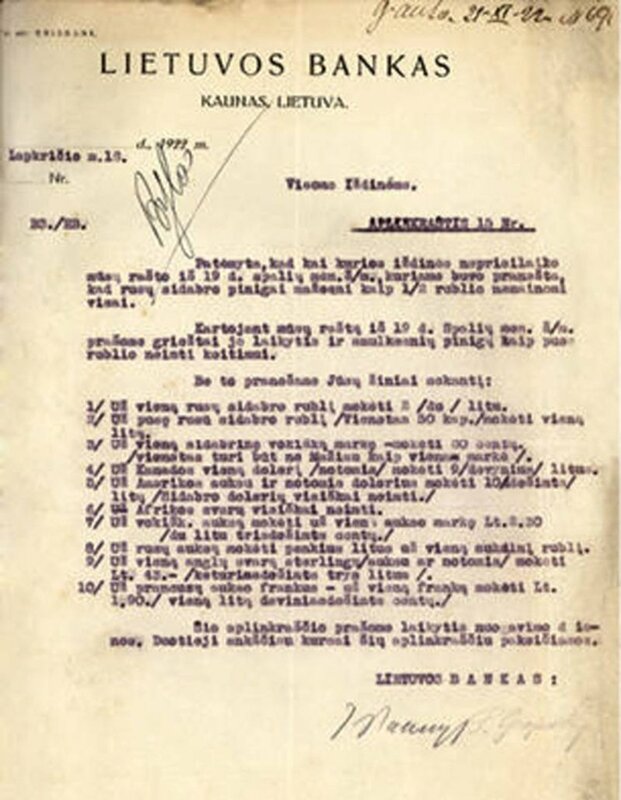 Lithuanian Coat of Arms (also known as Vytis) - the official state symbol of the independent Republic of Lithuania (the variant used from 1918 to 1940). 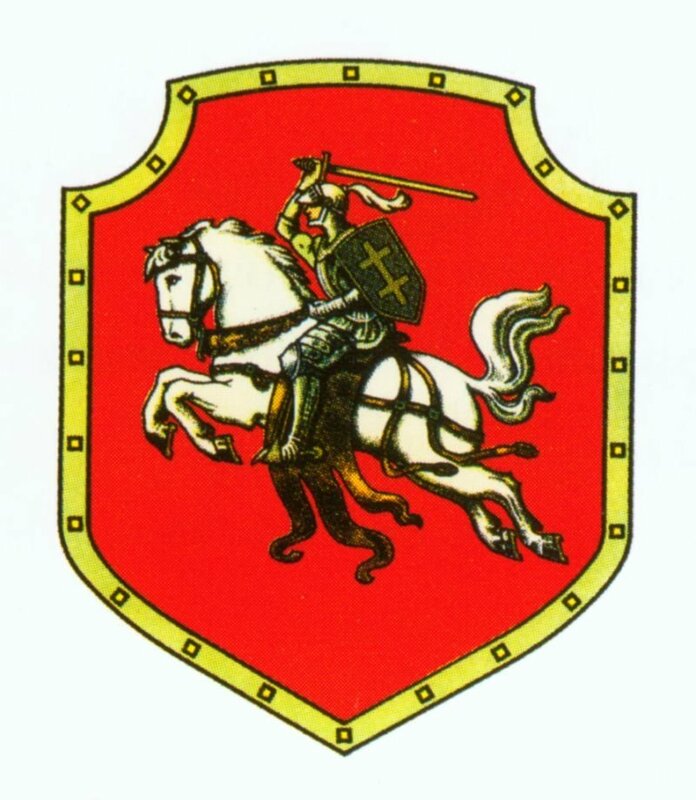 The coat of arms of Lithuania, consisting of an armour-clad knight on horseback holding an olden sword and shield, is also known as Vytis (pronounced [ʋiːt̪ɪs], "the Chaser"). 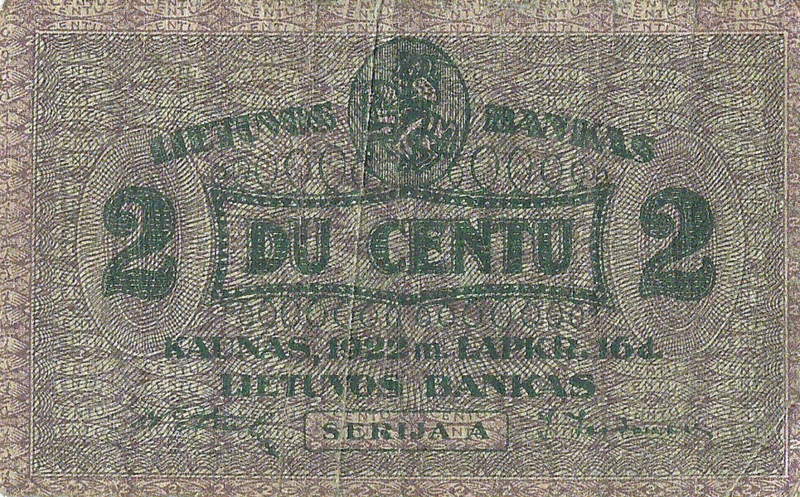 The Lithuanian coat of arms is one of the oldest national coats of arms in Europe. "The Coat of Arms of the State shall be a white Vytis on a red field". Heraldic shield features the field Gules (red) with an armoured knight on a horse salient Argent (white). The knight is holding in his dexter hand a sword Argent above his head. A shield Azure hangs on the sinister shoulder of the knight with a double cross Or (yellow) on it. The horse saddle, straps, and belts are Azure. The hilt of the sword and the fastening of the sheath, the stirrups, the curb bits of the bridle, the horseshoes, as well as the decoration of the harness, are Or (gold). Gules, a knight armed cap-à-pie mounted on a horse salient argent, brandishing a sword proper and maintaining a shield azure charged with a cross of Lorraine Or." Patterned background, in the form of a heart. 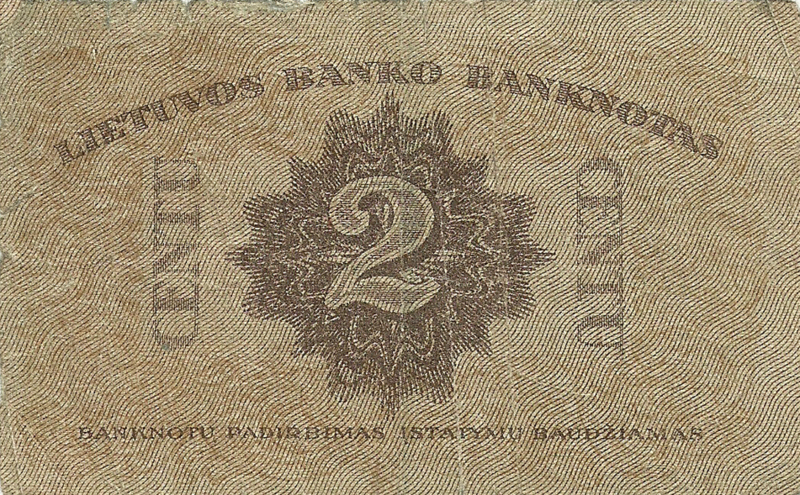 Inscription at the bottom: Внизу надпись: "BANKNOTŲ PADIRBIMAS ĮSTATYMU BAUDŽIAMAS". 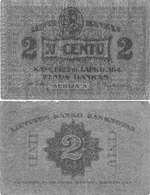 In English: "Falsification of banknotes is punishable by law".